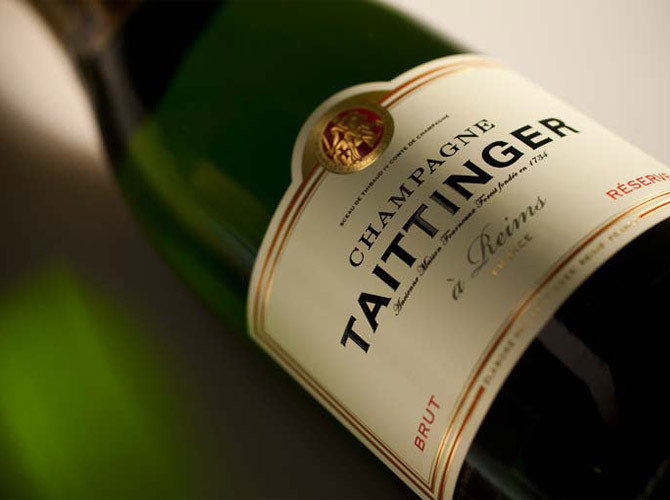 The name Taittinger – both a family and a signature – is committed to provide the best quality to its consumers. Champagne Taittinger appointed Diverse Flavours in the second half of 2013 to penetrate the Asia Duty Free market. Diverse Flavours works with Champagne Taittinger in developing a long term strategy for the Taittinger range of Champagnes in key Asian duty free markets. Champagne Taittinger is the great eponymous and independent Family House, and the Taittinger brand stands for quality, tradition, history, with Cuvees developed from a unique style, a style driven by Chardonnay, which gives finesse and elegance to the Champagnes. In 2014 Taittinger was given the status as FIFA’s Official Champagne for the 2014 FIFA World Cup Brazil TM. An agreement that runs until December 2015. This is the very first time in its history, a Champagne House is chosen by FIFA as the official champagne to be served to guests in FIFA’s VIP and VVIP areas. To celebrate the agreement Champagne Taittinger created and developed a special pack. 1240 – Thibaud IV, Count of Champagne, King of Navarre and poet returned from Cyprus with a vine plant, an ancestor of the Chardonnay variety, which would become the mark of the Taittinger House. 1734 – Jacques Fourneaux, a Champagne wine merchant, was the third player to enter the Champagne adventure and founded the company that would later become Taittinger. 1932 – Pierre Taittinger bought Château de la Marquetterie, whose vines were planted in the 18th century by Brother Oudart, a Benedictine monk and one of the founding fathers of Champagne. 1945 – François Taittinger defined the Chardonnay style: feminine, elegant, which is still the signature of Taittinger. 2006 – Pierre-Emmanuel Taittinger, presently President, bought back the House, as the Taittinger Group had been sold to Starwood Capital in 2005. Present – Vitalie & Clovis Taittinger, respectively Marketing Director and Export Director, joined their father in this adventure, reaffirming Taittinger as the last International Eponymous Champagne Brand. White and fresh with delicate flavours of fruit and honey. Fine balance, velvety, full-bodied and fresh. Entry is smooth, creamy and yet crispy, with flavours of raisins and fruits in syrup. A mature and round finish. The attack is frank with good tension, good structure and a hint of fruit wood. The mid-palate is smooth and voluptuous, with flavours of ripe fruit such as pink grapfruit. The long, rich, complex finish is accompanied by a pleasant freshness. Rich & generous, smooth & vinous. The finish is expressive dominated with notes of liquorice accompanied by tannin tartness to come. Still young but with great class with rich, intense and fruit aromas.